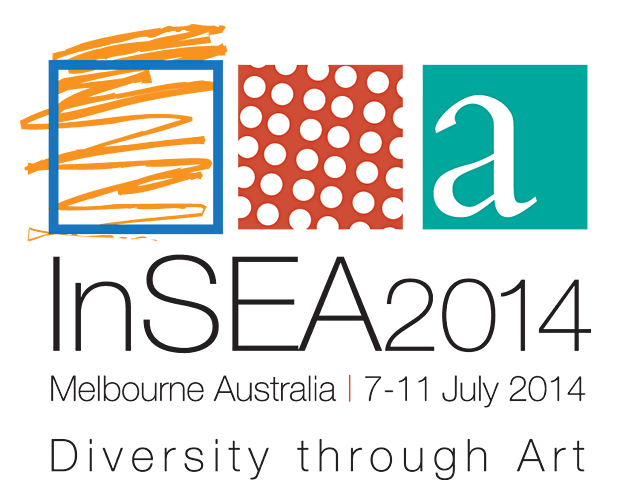 INSEA (International Society Education Thrugh Art) publica los diferentes congresos internacionales que están planigicados sobre arte, educación y cultura, hasta enero de 2014. La Sociedad Internacional para la Educación a través del Arte INSEA es socia oficial de la Organización de las Naciones Unidas para la Educación, la Ciencia y la Cultura (UNESCO) y fue fundada en las postrimerías de la Segunda Guerra Mundial. Research Board believes that the theory and practice of arts education must be underpinned by a strong research evidential base. The Board support members of InSEA to promote cross-cultural and multi-cultural research in art education and related fields. . To facilitate interaction and information exchange between InSEA members engaged in research, we would like your help identifying current art education research projects and significant publication. Our intermediate goal is to develop a database that showcases art education research projects around the world that are ongoing or completed after 2006. Publications or websites in various languages are welcomed as long as an English abstract of the article or website is provided. Larger scale collaborative research, theory and practice based projects are particularly welcomed. En su web se puede encontrar información de interés sobre publicaciones, tesis doctorales, eventos, etc.